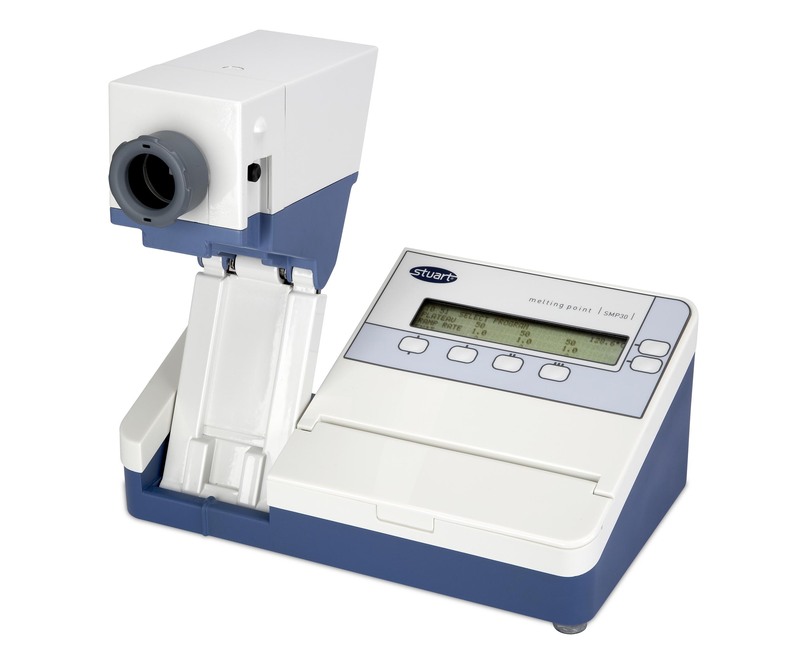 Designed for fast accurate determination of melting points, the SMP30 can take three samples simultaneously within the optimised heating block, the unit has a maximum temperature of 400°C. To allow maximum flexibility a plateau facility is included with variable ramp rate between 0.5 and 10°C in 0.1°C increments. The tubes are illuminated with bright white LED's to give the clearest view of the samples during the melt. The block has been designed for easy access for cleaning, the front of the head is fully removable to allow full access to the micro furnace. The SMP30 has a large clear back lit alphanumeric LCD display, running the menu system which clearly guides you through the melting process with comprehensive directions. Language is switchable between English, German, French and Italian. It is possible to record up to 7 events in memory for each of the three sample tubes, as well as being temperature stamped these events are also date and time recorded, thanks to the integrated real time clock. The SMP30 features the patent pending head up display, this unique feature displays a floating image of the block temperature, visible through the eyepiece, in front of the tubes. The head up display eliminates the need for the user to keep switching their gaze between the tubes and the temperature display, through the eyepiece they can now see both at once. To allow the most comfortable viewing angle the SMP30 features a two stage head adjustment, in the first movement the head is pulled towards the user, then in a separate motion the angle of the head can be adjusted by up to 126°, and will automatically hold in place due to the torsion resistant design to create the perfect viewing angle. The head can then be stored safely back within the body of the unit for storage. The design of the unit has lots of other useful features such as slots for storing pre-prepared samples and a storage draw to hold a container of capillary tubes. 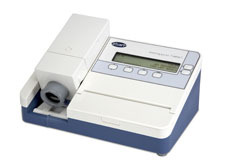 An accessory printer is available separately to produce a written record of the melt, and all units are supplied with a calibration certificate showing individual serial numbers for traceability. SMP30 Melting point apparatus, complete with pack of 100 melting point tubes, open at one end. SMP30 / IQOQ Melting point apparatus, complete with IQOQ documentation and pack of 100 melting point tubes, open at one end.